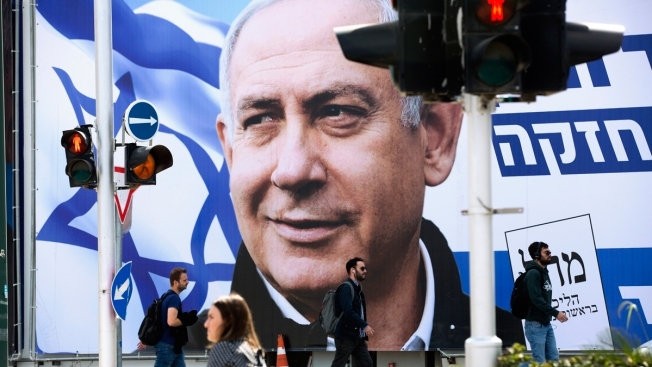 People walk by an election campaign billboard showing Israel's Prime Minister Benjamin Netanyahu, the Likud party leader, in Tel Aviv, Israel, Thursday, March 28, 2019. An Israeli watchdog said Monday that it found a network of social media bots disseminating messages in support of Prime Minister Benjamin Netanyahu ahead of next week's elections. Noam Rotem and Yuval Adam, two researchers operating the Big Bots Project, said in a report that they uncovered hundreds of fake accounts spreading messages in support of Netanyahu's Likud party and smearing his opponents. Likud denied the allegations. "One person might be operating tens or hundreds of accounts at the same time," he said. "All these accounts are pushing their political agenda, not only that but also inciting hate speech, attacking very specific people who are opposed to their political agenda." The campaign has focused largely on personal attacks between the two front-runners, with Gantz taking aim at Netanyahu's alleged ethical lapses, and Netanyahu painting Gantz as a weak "leftist." The prime minister's Likud Party has also tried to portray Gantz as being mentally unstable. Rotem and Adam said they found no direct link between the network and Netanyahu or Likud. But Netanyahu's son Yair, who has run into trouble in the past for his social media activity, has frequently liked posts by the network's accounts. They said it was unclear who was operating the network. 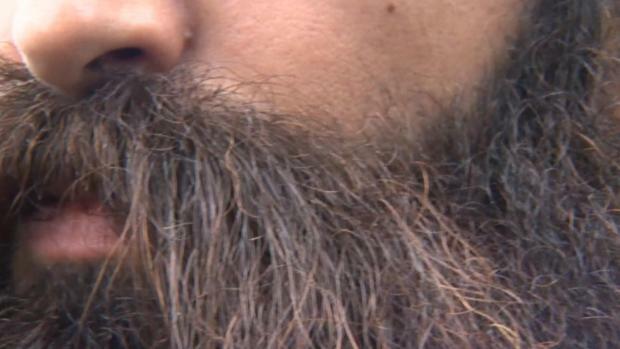 The report said the network had relayed tens of thousands of Tweets that were viewed more than 2.5 million times. "It turned out that those mentioned in the article are actually real people who even interview with the Israeli Media," Likud spokesman Eli Hazan wrote on Twitter. Gantz's Blue and White party wrote on Twitter after the Big Bots Project's report headlined Monday's edition of Hebrew daily Yedioth Ahronoth that "Netanyahu is trying to steal the elections" and called for a police investigation to determine the network's funding. The expose about the pro-Netanyahu network was the latest technology related incident in the tumultuous 2019 Israeli election campaign. Last month, news broke that Gantz's personal telephone was infiltrated by Iranian hackers. While Gantz contends no sensitive information was compromised, Netanyahu leveraged the breach to argue that Gantz was unprepared to lead the country.